While many of us reach for tea as an alternative caffeine source to coffee, did you know that there are actually tons of different kinds of tea that can be extremely beneficial to your health? If you’ve gotten used to reaching for the same type of tea every day, it may be time to rethink your habits. Having different varieties of tea on hand allows you to choose one for every mood and there are truly tons to choose from. The next time you’re looking for a beverage that’s great hot or cold and can bring tons of health benefits with every sip, check out some of the teas on this list. All of them have their own unique list of helpful health benefits and taste delicious too. 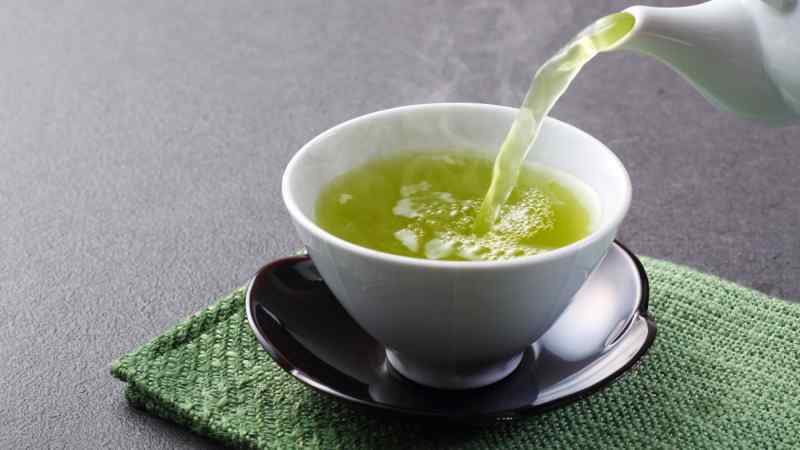 If you’ve ever visited a Japanese or Chinese restaurant, you’ve probably already tried green tea. It’s often served as a complimentary beverage in these types of restaurants and is often referenced as a great entry point for people who want to start limiting their caffeine intake. Green tea comes in many different varieties, all of which come from the camellia sinensis plant, or a close varietal. 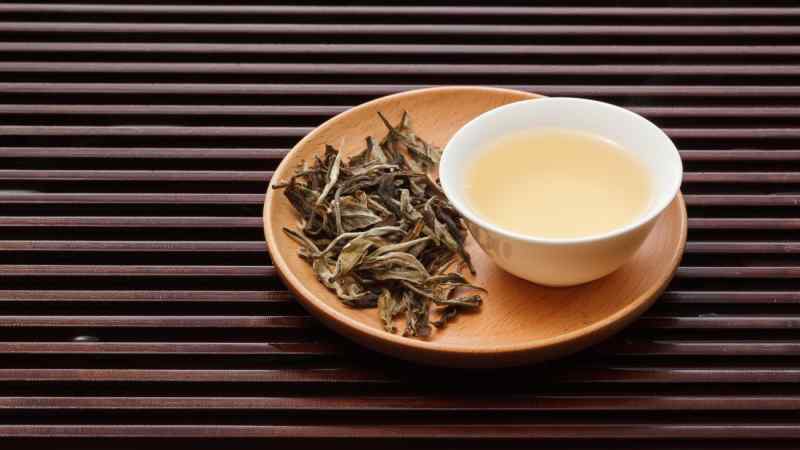 Unlike black or oolong tea, its leaves are not oxidized before it’s used, which can limit its health benefits. There have been studies linking green tea to potential treatments for cancer, as well as studies that show that green tea is correlated to a decrease in a person’s risk of stroke. It can also help lower blood pressure when consumed daily. Jasmine tea, which is simply tea that’s scented with jasmine leaves, is a popular beverage served all around the world. 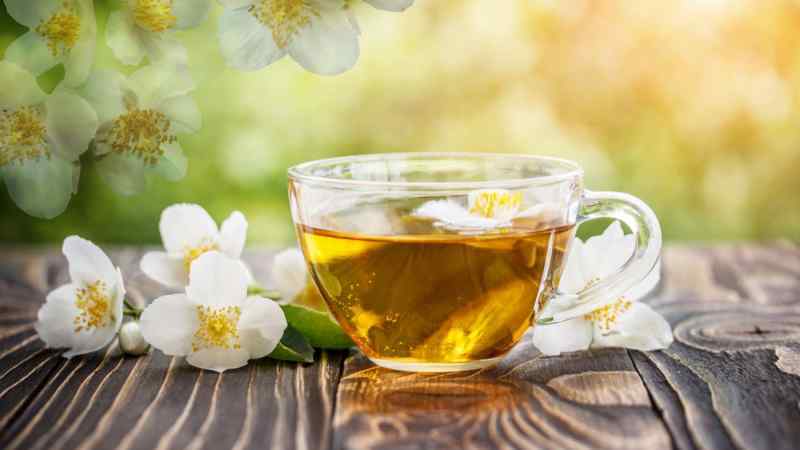 It’s typically made with green tea leaves, so it has all the benefits of a cup of green tea, as well as the health benefits that come from the jasmine petals themselves. There’s a community in China that’s currently being studied because of their health and extreme longevity. One of their secrets is that most of their citizens are avid drinkers of Sanpin-cha, a type of jasmine tea. Some claim that the smell of jasmine alone is soothing and can help regulate our mood. One of the reasons why tea is so popular is not only because of its taste, or its lower caffeine content. Tea is full of prized antioxidants, which can help protect our cells from age-related damage, which in turn lowers our risk of heart disease and diabetes. The more antioxidants we consume, the more we’re protecting our cells. 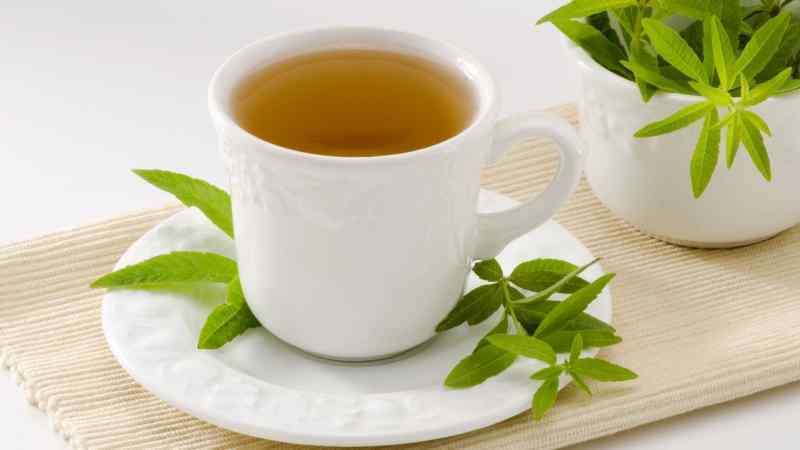 White tea has an extremely high number of antioxidants because it’s minimally processed. As tea is roasted and processed, it naturally removes some of the antioxidants, and leads to more intense flavor, but reduces the health benefit. While rooibos tea comes from a very different plant than the three other teas we’ve talked about so far, it still contains tons of unique health benefits. It’s harvested from the South African redbush (Aspalanthus linearis), and consequently looks a little more like miniature twigs and less like rolled-up leaves. 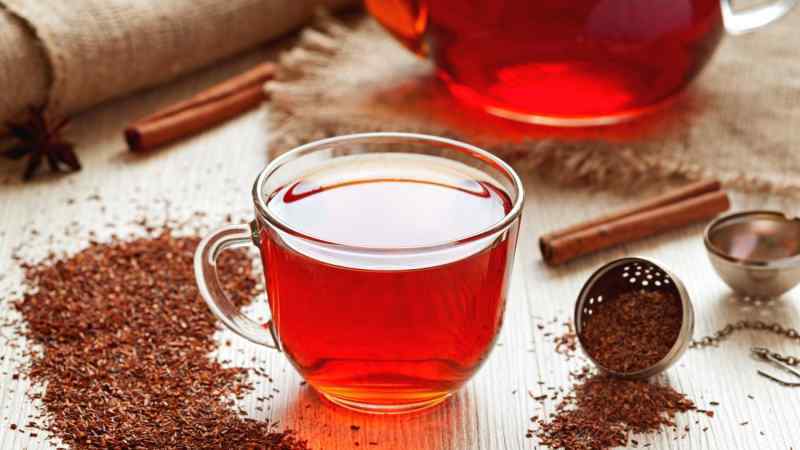 However, like the tea that comes from the camellia sinensis plant, rooibos tea has plenty of antioxidants, and flavonoids like chrysoeriol, which has been linked to reduced muscle tension and a reduction in blood pressure in regular drinkers. Rooibos is a great choice for when you’re trying to stay away from caffeine. Unlike green and white tea — which have small amounts of caffeine — rooibos tea has none. Another way to gain health benefits from different plants and herbs is to make them into a tisane, a technique that involves steeping dried or fresh herbs in hot water to make a tea-like beverage. Tisanes are often called “herbal teas,” and the benefit of drinking herbal tea is that it allows you to steep multiple herbs together to compound their health benefits. One well-loved tisane is lemon verbena, a common garden herb that is responsible for tons of different health benefits when consumed. Its rich organic compounds help reduce our hunger when sipped before a meal, and it has some anti-spasmodic qualities that make it ideal as a digestive aid. One of the most gorgeous, brightly-colored teas imaginable, hibiscus tea is made by steeping the calyx and flowers of the tropical hibiscus plant. The petals are bright pinkish-red when in flower, and turn a deep, dark red when dried. When made into a tisane, the resulting red liquid can be drunk hot or cold, and has a pleasantly sour taste, similar to cranberry juice. 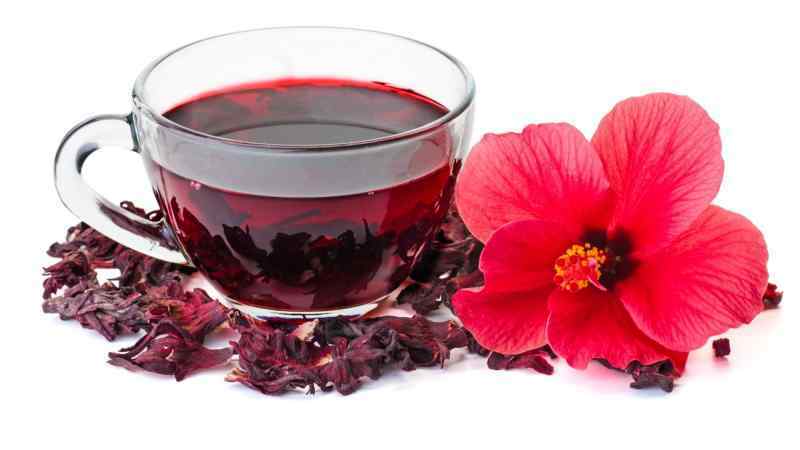 Hibiscus is thought to be rich in antioxidants and anti-inflammatory properties, and is super rich in vitamin C. It’s often given as a cool beverage to someone suffering from the flu, to cool their body while boosting their immune system. Chicory is an interesting plant that has many uses, even down to its roots, which are baked, and ground into a powder which is often added to ground coffee to give it a bit of extra kick. 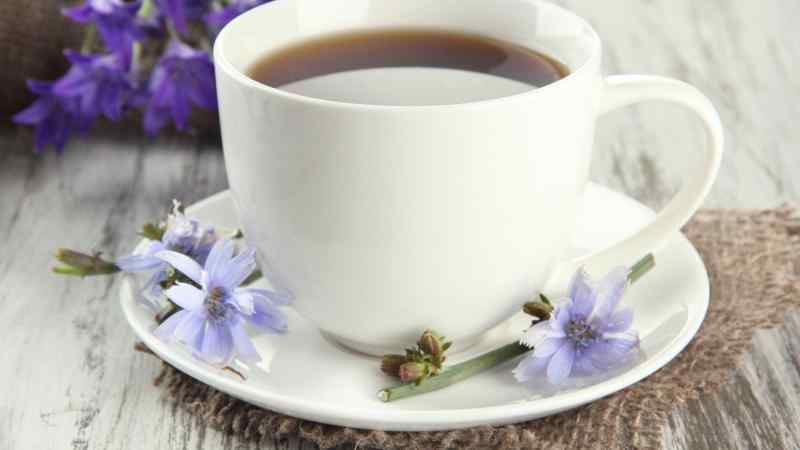 For people that are trying to wean themselves off coffee, straight brewed chicory is a great replacement since it has a similar rich taste and mouthfeel to coffee, without the caffeine. For centuries, the Cherokee people of America have been using brewed chicory root as a tonic for nerves, and even though most North Americans don’t have a cultural link to this plant, it’s become an extremely popular natural medicine dispensed by naturopaths. Chicory root contains inulin, which is a prebiotic thought to help promote good bacteria in our gut and can also help relieve constipation. Another popular superfood that’s seen a huge upswing in popularity in the last few years is moringa, a plant native to Southeast Asia that ranges in size from a tiny herb to a large tree. Moringa tea is made of powdered moringa leaf and looks similar to bright green matcha. 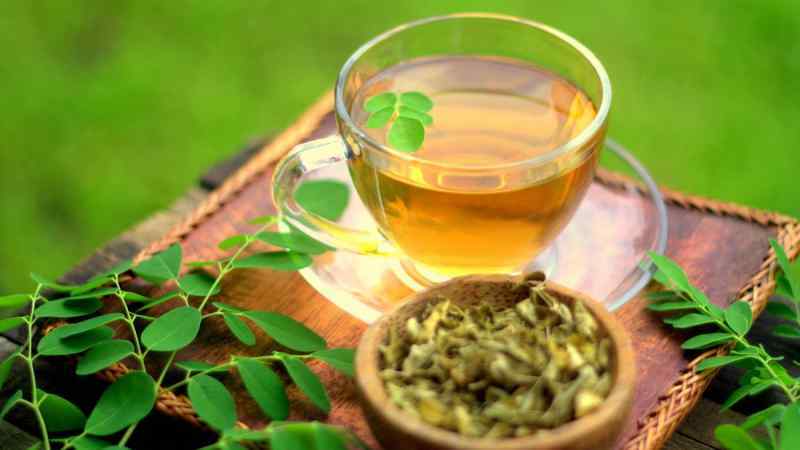 One cup of moringa tea has more calcium than a cup of milk, and also contains tons of vitamins C and E. It also has a large amount of antimicrobial and antifungal properties, which both help fight off infections that stem from fungi and bacteria. All of these great qualities in moringa tea may tempt you to drink it all the time, but you should limit yourself to one cup a day, as it has a laxative effect in large doses. 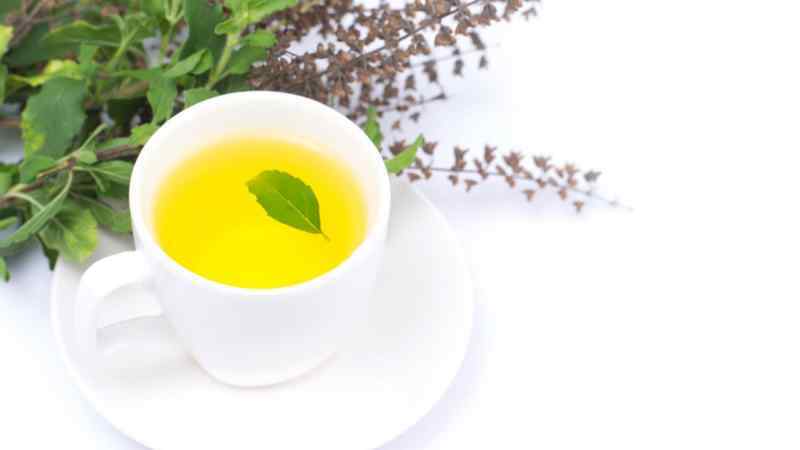 Holy basil, also called tulsi, is a particularly beneficial herb that has been used for thousands of years for its germicidal, antibiotic, and disinfecting properties. 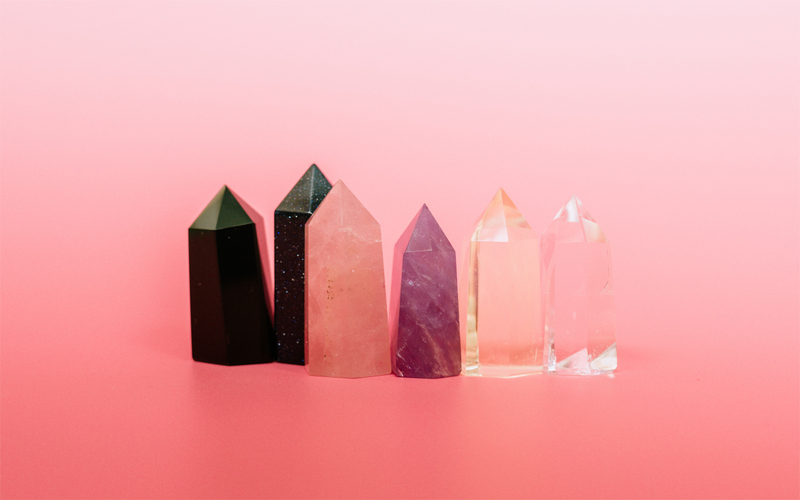 These properties have led people in India to place it in their homes, as a way of warding off infections like malaria, typhus, and the common flu. The leaves are also dried and consumed as a tisane. Holy basil is thought to help relieve congestion and can help cure asthma that’s exacerbated by clogged lungs. When the leaves are chewed, they kill 99 percent of bacteria found in the mouth, and can help heal oral ulcers. Holy basil is also a mild diuretic and helps keep our kidneys functioning normally. Often sold as a bedtime tonic, chamomile tea has tons of health benefits other than helping relax our bodies for sleep. The anti-inflammatory properties in chamomile can help relieve cramps, which makes it a popular tea for women who are menstruating. It also helps minimize common period-related ailments like bloating and anxiety. The levels of serotonin (the “feel good hormone”), and melatonin, which helps promote a regular sleep cycle, are also much higher in chamomile tea than in any other type of tisane. 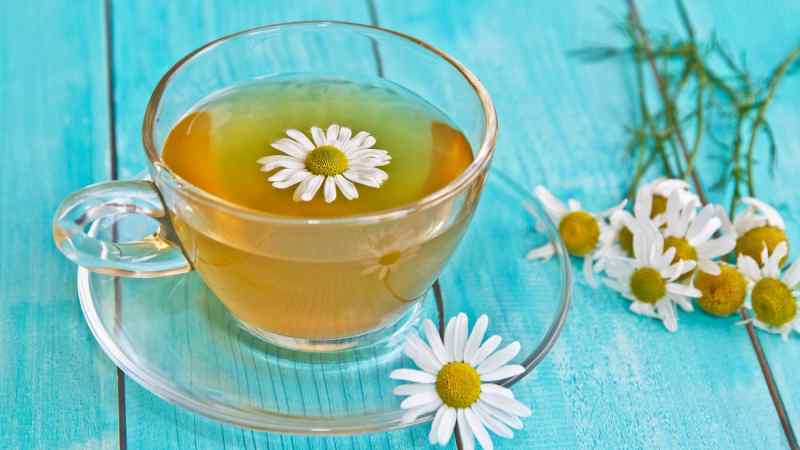 The only thing to keep in mind when drinking chamomile tea is that it may irritate some people who are allergic to ragweed, as the two plants are closely related. 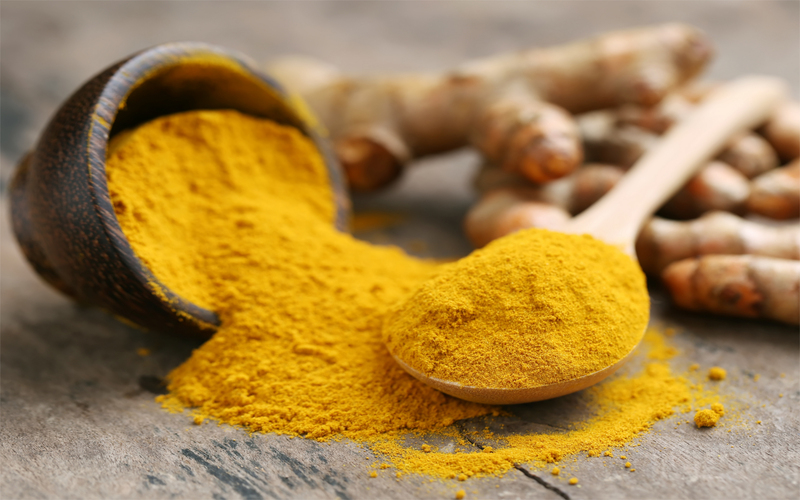 Ahh turmeric. It’s been adding color, bite, and depth to Eastern inspired foodstuffs for centuries. South Africans cook rice with it. The Vietnamese add it to their traditional crepe-like dish banh xeo. And your favorite curry just wouldn’t quite taste the same without it.